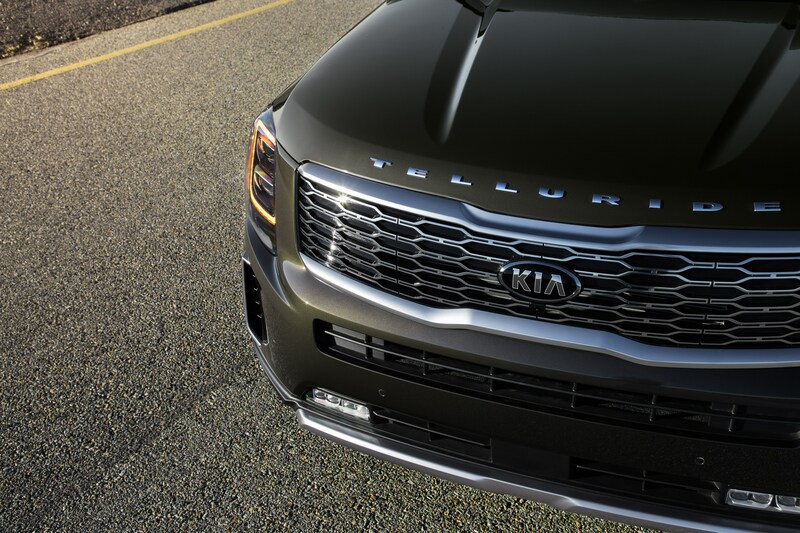 Top Line: At the Detroit Auto Show on Monday, Kia officially showed off its new Telluride midsize SUV. 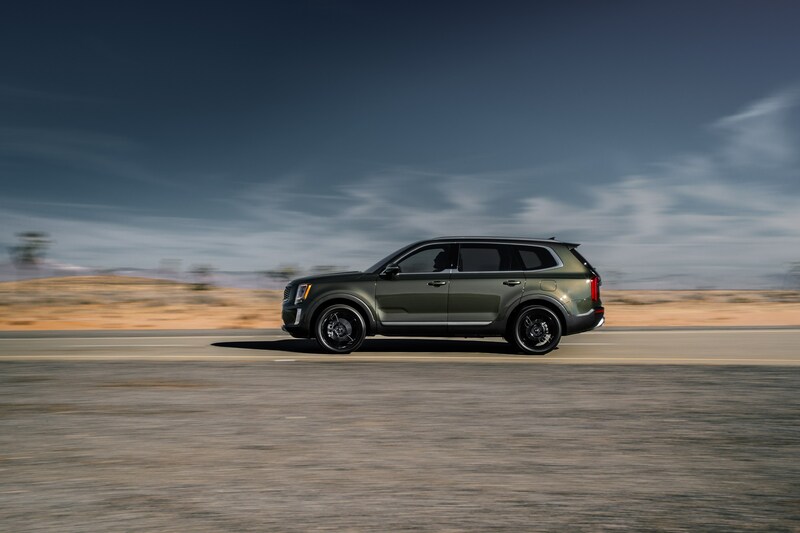 Presumably slotting above the Sorento, the Telluride is the "chonkiest" Kia ever made and sports a boxy, decidedly un-crossover-ish shape that harkens back to an era when SUVs were SUVs and cars were cars. What's New: The big Kia is an all-new nameplate for the brand, will seat eight, and come with a 291-horsepower, 3.8-liter V-6 under the hood. 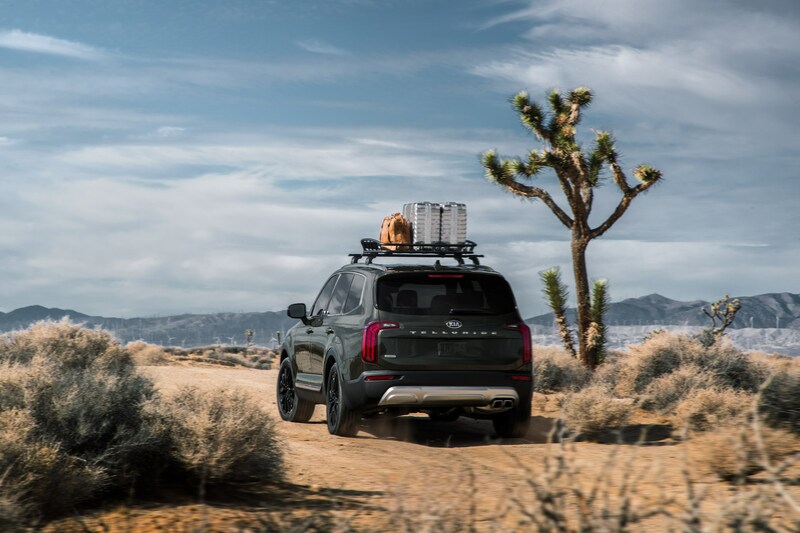 Despite its outdoorsman vibe, don't assume the Telluride will be boorish to live with as the SUV's interior is said to use premium materials and definitely takes inspiration from the Range Rovers of the world rather than something like the Toyota 4Runner. Power is transferred through an eight-speed automatic transmission and gets to the ground via an available "active on-demand" all-wheel-drive system. In the vehicle's Eco and Smart driving modes, the Telluride is completely front-wheel-drive. Switching to Comfort or Snow modes will send 20 percent of the power to the rear axle while Sport mode sends 35 percent to the back. Not exactly Drift Mode but then again this isn't, by any stretch of the imagination, a Drift Machine. Lock mode, meanwhile, sends equal power to all four wheels. The Kia Telluride is rated to tow up to 5,000 pounds, the same as the aforementioned 4Runner. To keep its occupants informed and entertained, the midsize SUV gets an optional 10.25-inch touchscreen with Apple Carplay and Android Auto, up to six USB charge ports, and available wireless charging. 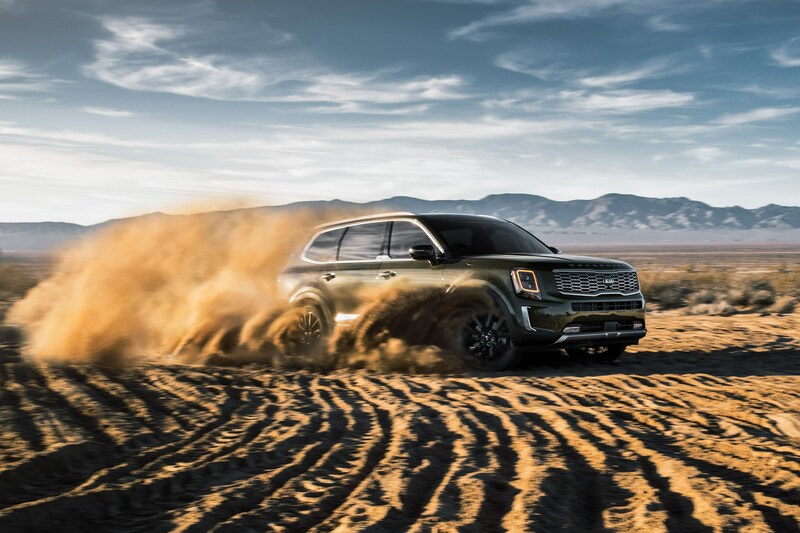 Quotable: "Large, bold, capable and comfortable, the midsize Telluride SUV opens the door to exploring in a whole new way," read the company's press release. "In short, the Telluride offers potential for exploration and adventure every time it's on the road." 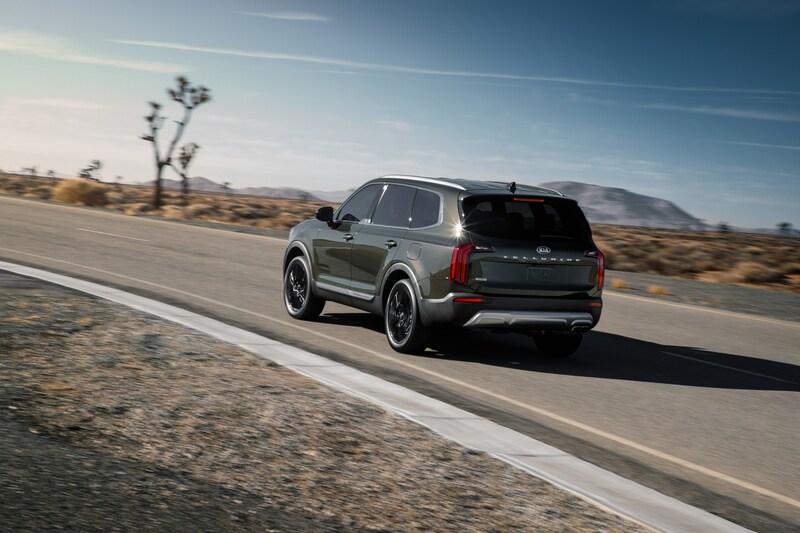 What You Need to Know: Kia is touting the new Telluride as not only the biggest car they've ever produced but the first one done specifically with American tastes in mind. Despite the Korean badge, the SUV was designed in California and will be assembled in West Point, Georgia.